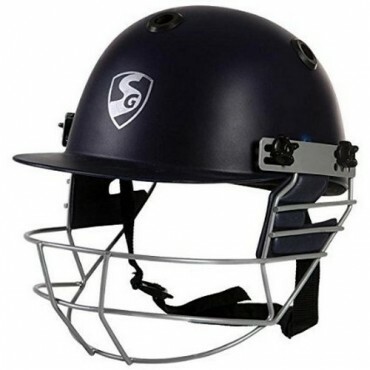 Purist (Navy) cricket helmet with excellent head protectors a contemporary matt finish and a rigid o.. Protective impact-resistant and sweat-absorbent breathable inner padding Available in extra small, s.. Modeled with a classic design and up to international standards of play this GM Pro Select Cricket H..